OOh, neat. I can see visiting that place. I've been around this area forever and never heard of it. My mother-in-law loves, loves, loves to peruse these kinds of places! She finds some pretty amazing things sometimes too. WOW! 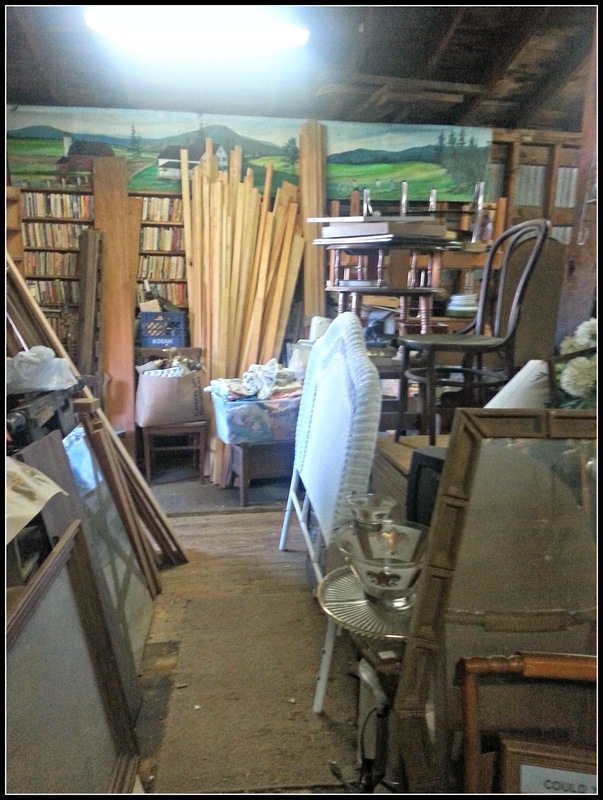 Lots of cool stuff in there, I could spend a whole afternoon browsing:) Yes, I love treasure hunting. Wow, I could spend hours in a place like that. 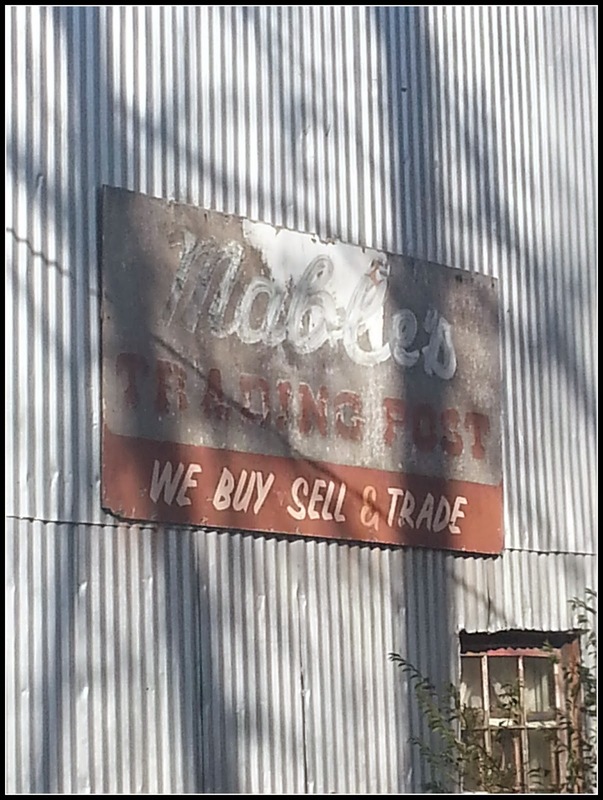 I particularly like Army surplus stores, but we had a store like Mables here for years. Then the owner died and they bulldozed it. I love, love, love places like that. One never knows what will turn up and it might just be something you have been yearning for! Thanks for sharing the visit there with us. Absolutely. But I don't have room for many new treasures these days. Yes I DO! Since I have lost weight,most of my new clothes are from Goodwill. I am a Goodwill Hunter. I would love this place. I already see a few things I would like, including the white wicker headboard. I have been there if that is the place in Old Wirtz near the tracks. I haven't been there in a long time as I don't need to spend money and I would there. I like places like that where you never know what you'll find. There are several such places in our area. I ususlly don't go shopping anywhere though unless I am looking for something in particular. I'm probably missing out on some finds. 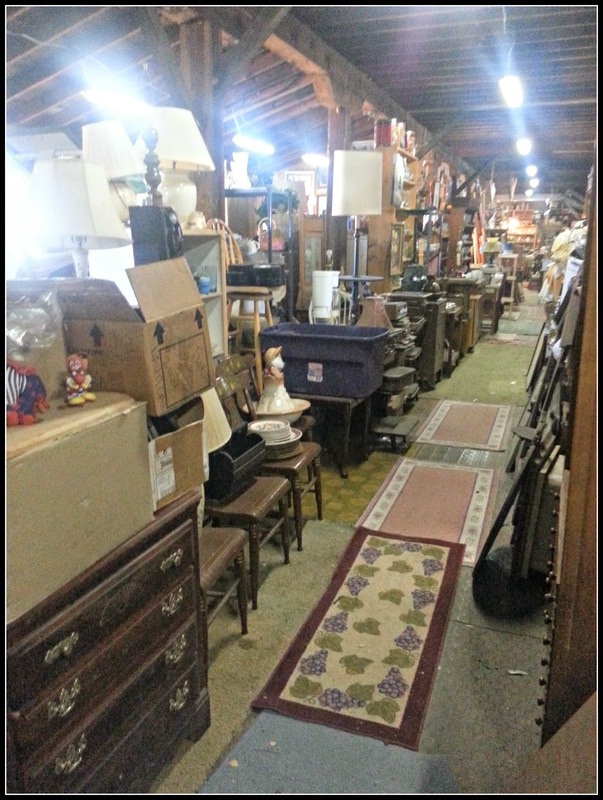 My Hubs loves going in places like this and looking for treasures. I do like to go treasure hunting, and a place like that can unearth all kinds of stuff! What fun it is touring these places and always possible to find something you really love. I cannot handle the smell of such places. While I'd love to dig around for a little, my nose betrays me and I gotta make a run for the door. I like those places because they have different items, so of them unique. I really like hunting old stuff. Looking for 'extraordinary' things, retro is lot of pleasure. oh this looks like my kind of place! i used to go all the time when we lived in georgia...we had one big place like mable's, housed in an old cotton mill, it was huge...when ash and christian would go to school, the boys and i would go and spend a couple of hours just seeing what we could find...it was easier, only about 10 minutes from my house...here nothing close...buchanan has some great antique stores but that's a half hour drive so you don't just go spur of the moment! I like places like that! There are a few places downtown that are like that in the Old Market. 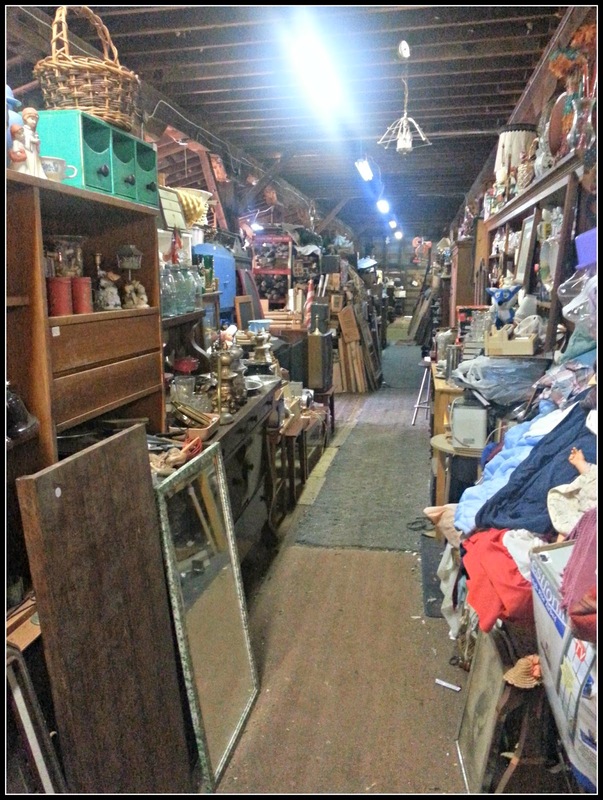 I think the prices are a bit high for junk just because of where it's at. Once I went to Walnut, IA just to go junk shopping. It was fun! That is such a cool place. I wish we had something like that in the area. I love having treasure hunts! Very jealous. Het lijkt mij heerlijk om daar te struinen. Lisa: How fortuitous! Today is the birthday of the late actor Steve McQueen. 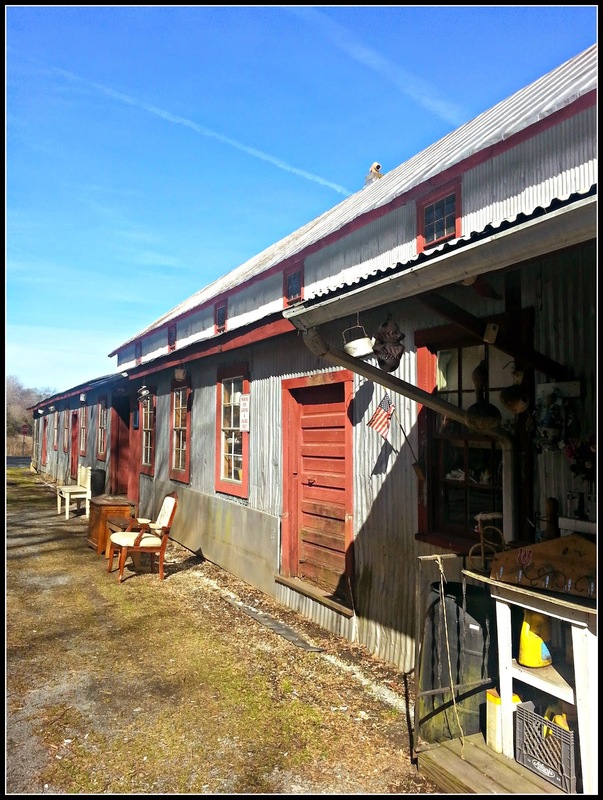 He and Lee Majors used to visit places like this to outbid each other on antique tin toys! We have nothing like that here, the closest I've been is a place in NC. I envy you--so many treasures to unearth!